While adult cats only have 30 teeth, dogs have 42. The reason for this difference is their individual dietary needs. Cats and dogs have the same number of incisors and canines, which are the teeth that are used for tearing meat. However, dogs also require vegetation in their diets (your best kitty friend is strictly carnivorous). Because of this difference, dogs have more molars and premolars, which are the teeth that are used for crushing and grinding plants. Regardless of their diets, though, our pets need their teeth cleaned regularly… just like we do! The Basenji is the only breed of dog that is unable to actually bark. Instead, they make an unusual sound, often referred to as a “baroo”. It sounds similar to a yodel… check out the video below! Do you ever wonder why your cat can climb gracefully upward, but when it is time to come down, she is either stuck or forced to jump? It’s a kitty paw design flaw! Because their claws are curved inward (like a hook), they are perfect for digging in to a surface so that she can then pull her body upward. However, this doesn’t work quite so well on the way down. Tell that to the neighborhood firemen the next time they need to rescue your cat from a tree. It’s not kitty’s fault! A common misconception about dogs is that they are colorblind. This actually is not the case. While they don’t have the pleasure of experiencing the same robust color spectrum that we do, they do see some hints of color. Don’t worry that they are missing out on visual stimulation, however. Dogs have superior peripheral vision and can see extremely well in the dark. Black cats have GOOD luck! The same gene that causes their fur to hold such a rich dark color comes along with the added benefit of increased resistance to certain viruses and bacteria. While this is certainly no reason to skimp on your best friend’s necessary preventative care, it’s still a fun fact to have on hand for the next time someone accused your adorable black feline of bringing bad luck. 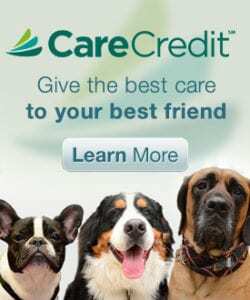 This entry was posted in animal welfare, animals, Blog, cute, fluffy, friends, furry, humane, pet safety, pet socialization, Wednesday Wild Card. Bookmark the permalink.